A better classification between patients with parkinson disease and healthy adults is of great importance for clinicians and directly affects the selection of treatment method, the adjustment of medication dose, or even the decision about a dopaminergic therapy. Clinicians widely use semi-objective/subjective assessments in order to be able to differ patients from healthy adults. Here, to make an objective classification between two distinct groups (healthy/patient), we apply a powerful method, recurrence quantification analysis, on data including trajectory behavior of gait reaction forces with long length collected from elderly patients with Parkinson disease and healthy adults as they walk. We show that the complexity measures of the quantification analysis, determinism, entropy and divergence, behave different for two distinct groups (healthy/patients) and may be used for an objective classification. 1. 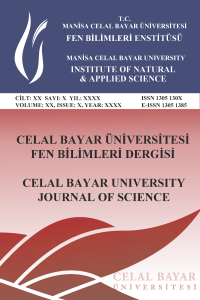 Hausdorff, J.M, Gait Dynamics in Parkinson disease: Common and distinct behavior among stride length, gait variability, and fractal like scaling, Chaos: An Interdisciplinary Journal of Nonlinear Scien-ce, 2009, 19(2), 026113. 2. Whittle, M.W, Clinical gait analysis: A review. Human Movement Science, 1996, 15, 369–387. 3. Simon, S.R, Quantification of human motion: gait analysis-benefits and limitations to its application to clinical problems, Journal of biomecha-nics, 2004, 37, 1869–1880. 4. Kempen, G.I, et al., The Short FES-I: a shortened version of the falls efficacy scale-international to assess fear of falling, Age and Ageing, 2008, 37, 45-50. 5. Goetz, C.G, Tilley, B.C, Shaftman, S.R, Stebbins, G.T, Fahn, S, Martinez-Martin, P, Poewe, W, Sampaio, C, Stern, M.B, Dodel, R, Dubois, B, Holloway, R, Jankovic, J, Kulisevsky, J, Lang, A.E, Lees, A, Leurgans, S, LeWitt, P.A, Nyenhuis, D, Olanow, C.W, Rascol, O, Schrag, A, Teresi, J.A, van Hilten, J.J, LaPelle, N, Society-sponsored revision of the Unified Parkinson’s Disease Rating Scale (MDS-UPDRS): Scale presentation and clinimetric testing results. Movement Disorder, 2008, 23(15), 2129-2170. 6. Rabey, J. M, Korczyn, A. D. The Hoehn and Yahr rating scale for Parkinson’s disease Instrumental Methods and Scoring in Extrapyrami-dal Disorders, Springer, 1995. 7. Toosizadeh. N, Mohler, J, Lei, H, Parvaneh, S, Sherman, S, Najafi, B, Motor Performance Assessment in Parkinson’s Disease: Association between Objective In-Clinic, Objective In-Home, and Subjective/Semi-Objective Measures, Plos One, 2015, 10(4), e0124763. 8. Hausdorff, J.M, Lertratanakul, A, Cudkowicz, M.E, Peterson, A.L, Kaliton, D, Goldberger, A.L, Dynamic markers of altered gait rhythm in amyotrophic lateral sclerosis, Journal of applied physiology, 2000, 88, 2045–2053. 9. Bartsch, R, Plotnik, M, Kantelhardt, J.W, Havlin, S, Giladi, N, Haus-dorff, J.M, Fluctuation and synchronization of gait intervals and gait force profiles distinguish stages of parkinson’s disease, Physica A: Sta-tistical Mechanics and its Applications, 2007, 383, 455–465. 10. Hausdorff, J.M, Peng, C.K, Ladin, Z, Wei, J.Y, Goldberger, A.L, Is walking a random walk? Evidence for long-range correlations in stride interval of human gait, Journal of Applied Physiology, 1995, 383, 349-358. 11. Afsar, O, Tirnakli, U, Kurths, J, Entropy-based complexity measures for gait data of patients with parkinson’s disease. Chaos: An Interdiscip-linary Journal of Nonlinear Science, 2016, 26, 023115. 12. Bernad-Elazari, H, Herman, T, Mirelman, A, Gazit, E, Giladi, N, Hausdorff, J.M, Objective characterization of daily living transitions in patients with parkinson’s disease using a single body-fixed sensor, Journal of neurology, 2016, 263, 1544-1551. 13. Afsar, O, Tirnakli, U, Marwan, N, Recurrence quantification analysis at work: Quasi-periodicity based interpretation of gait force profiles for patients with Parkinson disease, Nature-Scientific Reports, 2018, in press. 14. Kirchner, M, Schubert, P, Liebherr, M, Haas, C.T, Detrended Fluctua-tion Analysis and Adaptive Fractal Analysis of Stride Time Data in Par-kinson’s Disease: Stitching Together Short Gait Trials, Plos One, 2014, 9, 1-6. 15. Marwan, N., Romano, M. C., Thiel, M. & Kurths, J. Recurrence plots for the analysis of complex systems, Physics Reports, 2007, 438, 237–329. 16. Poincare, H, Sur le probleme des trois corps et les equations de la dynamique, Acta mathematica, 1890, 13, 1-270. 17. Marwan, N, Schinkel, S, Kurths, J, Recurrence plots 25 years later-gaining confidence in dynamical transitions, EPL (Europhysics Letters), 2013, 101, 20007. 18. Hausdorff, J.M, Ladin, Z, Wei, J.Y, Footswitch system for measure-ment of the temporal parameters of gait, Journal of biomechanics, 1995, 28, 347–351. 19. Bazner, H, Oster, M, Daffertshofer, M, Hennerici M, Assessment of gait in subcortical vascular encephalopathy by computerized analysis: a cross-sectional and longitudinal study, Journal of Neurology, 2000, 415, 841-849. 20. Goldberger, A.L, Amaral, L.A, Glass, L, Hausdorff, J.M, Ivanov, P.C, Mark, R.G, Mietus, J.E, Moody, G.B, Peng, C.K, Stanley, H.E, PhysioBank, PhysioToolkit, and PhysioNet: Components of a new rese-arch resource for complex physiologic signals, Circulation, 2000, 101, e215-e220. 21. Eckmann, J.P, Kamphorst, S.O, Ruelle, D, Recurrence plots of dynami-cal systems, EPL (Europhysics Letters), 1987, 4, 973-977.